Ideally your computers will automatically change their time when Daylight Saving Time changes. This was introduced in the Unix operating system family with the zoneinfo timezone database and this has continued over into Apple’s OS X and iOS operating systems. Windows, Android, etc all use similar systems today. The zoneinfo database contains all the information about lots of different timezones, including knowing the Daylight Saving dates and offsets for different years. As politicians change the legislated dates around the world, the database gets updated to match. So as long as the database is up to date, the system time changes automagically at the right times (actually the internal clock doesn’t change: it just gets converted to a different printed value). You just need to tell it which timezone you’re in, and it will take care of the rest. The cameras that have timezone support today don’t use a fancy system like this. 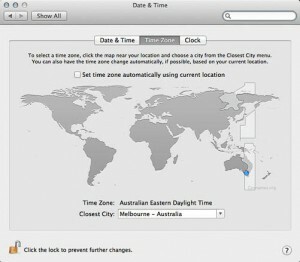 If they have a GPS they need to work out what the timezone offset is so they can translate that global time to the local time, and even for the cameras without GPSes they can make changing timezone or Daylight Saving easier as you don’t have to reset the actual time value: just change the zone. However instead of the hundreds of different timezones in the zoneinfo database, the cameras will only have 30 or so zones (there are 24 hours around the globe, but some timezones are at offsets in-between whole hours) each with a fixed GMT offset, and a flag to say that Summer (Daylight Saving) time is active or not (which usually simply adds an hour to the offset). You need to find the one that best matches your location. Setting the right timezone means you can use the camera’s GPS (if it has one) to keep the clock accurate. Otherwise the GPS will do the “wrong” thing to the clock. 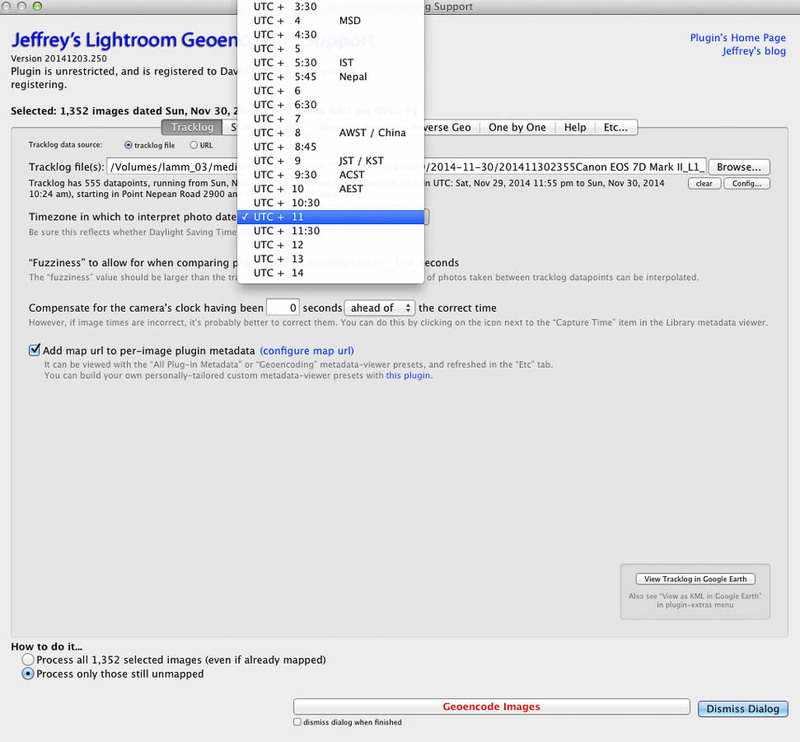 If your camera uses a GPS to attach location information to the photos, they’re already “geocoded”. But if you have a GPS that records a trail of where you were, you can use that file (usually in “GPX” format) to geocode the photos later, even for cameras without a GPS of their own. 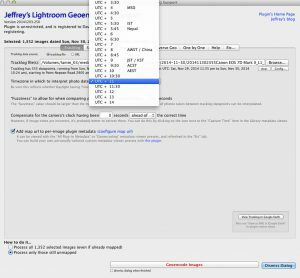 The geocoding software will compare the GPS timestamps with the times on the photos, and you will need to tell it the timezone offset of the photos (e.g. Melbourne is GMT+10:00 in winter, and GMT+11:00 in summer) so it can line everything up properly. If you’re geocoding photos from a trip later, you’ll need to remember what the timezone offsets were, and for each timezone you travelled through, do them as a separate batch. Today I’m often working with multiple cameras. One has a GPS so it tags its own photos, and it records a trail file so I can tag the photos from other cameras later. Timezones are generally based on lines of longitude, and as you get closer to the poles these lines get closer together. Theoretically if you walked in a circle around the South Pole you would move through lots of different timezones. So for simplicity the polar bases pick one timezone and stick to it. The Antarctic and Arctic voyages tend to do the same thing. Even if they sail a long way east or west, they often keep the clocks in the same timezone (especially if the voyage is going to end in the same place it started). This little island is a World Heritage-listed island in the Tasman Sea (east of the Australian mainland). It’s an amazing location with amazing wildlife! We tend to go there at either end of summer as that’s when the wildlife activity peaks, but I’ve also been there in May (which is NOT summer here in Australia). Why am I mentioning this? 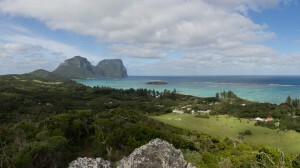 Because Lord Howe Island has a unique timezone that doesn’t appear in any cameras I’ve seen. In summer the island operates on the same time as Sydney (GMT+11:00). 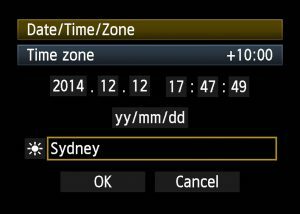 In winter it uses GMT+10:30 (Sydney goes back to +10:00). 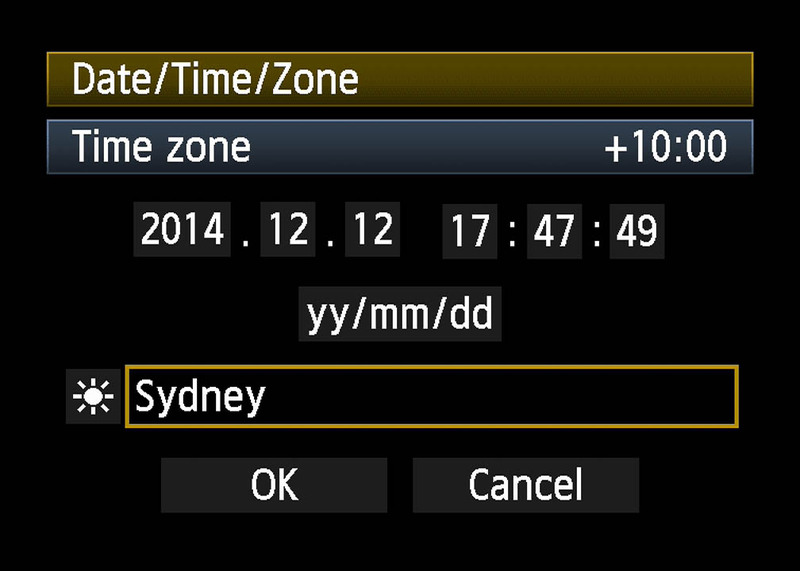 In summer you should tell the camera your timezone is Sydney, with Summer time active. In winter you should tell it to use Adelaide, also with Summer time active. Simple but effective. Most cameras know about both Sydney and Adelaide. 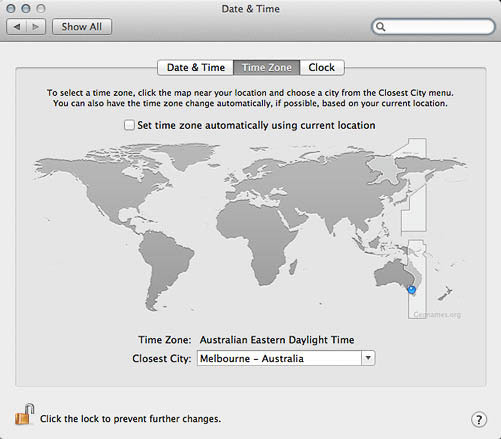 There is a more-complex issue with setting a Lord Howe timezone on some computers, but I’ll leave the discussion of that for another day. date/time, GPS, Lord Howe, travel. Bookmark.